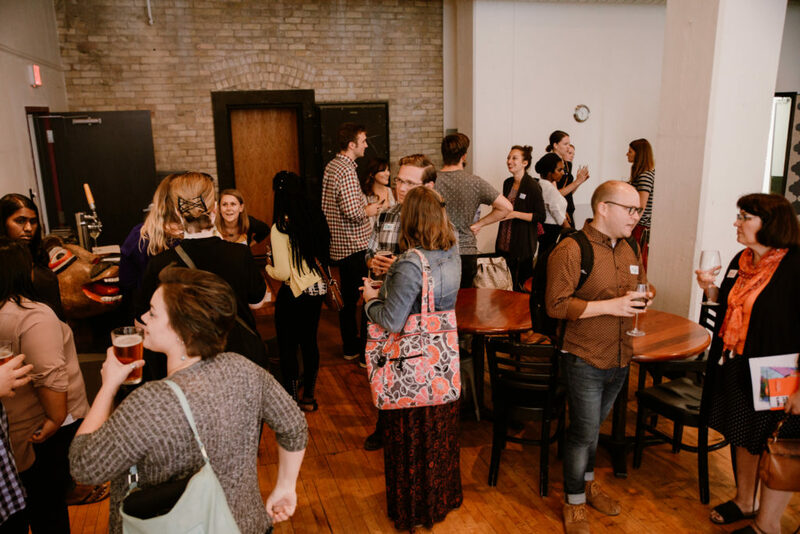 The back room of the coffee bar is buzzing with conversations and the bright eager faces gathered for the YNPN Twin Cities’ leadership happy hour event. As you look around the room you can spot the panelists standing squarely in what appear to be power poses. 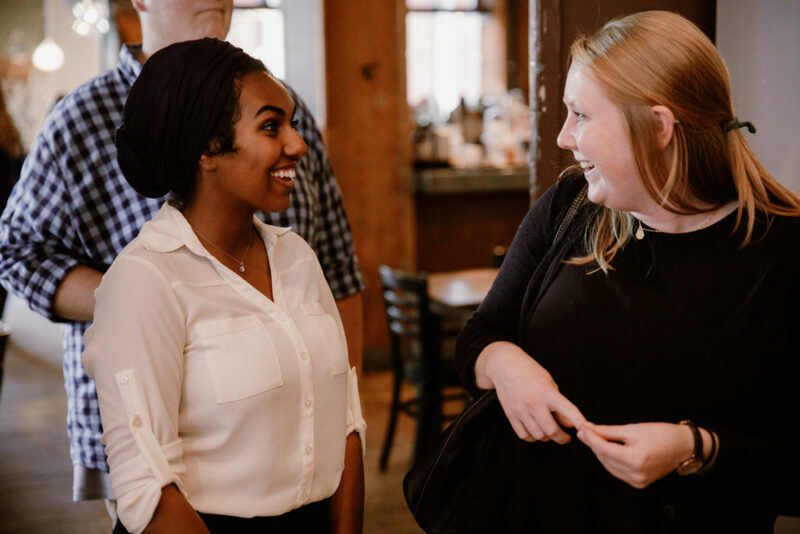 They are surrounded by clusters of hopeful young professionals eager to lend an ear and learn about the secret to entering or advancing in the Twin Cities’ robust nonprofit sector. The panelists make their moves to the tables they claimed as their own and pull up chairs at a nearby table to hear Dawne Brown White, executive director of COMPAS speak. 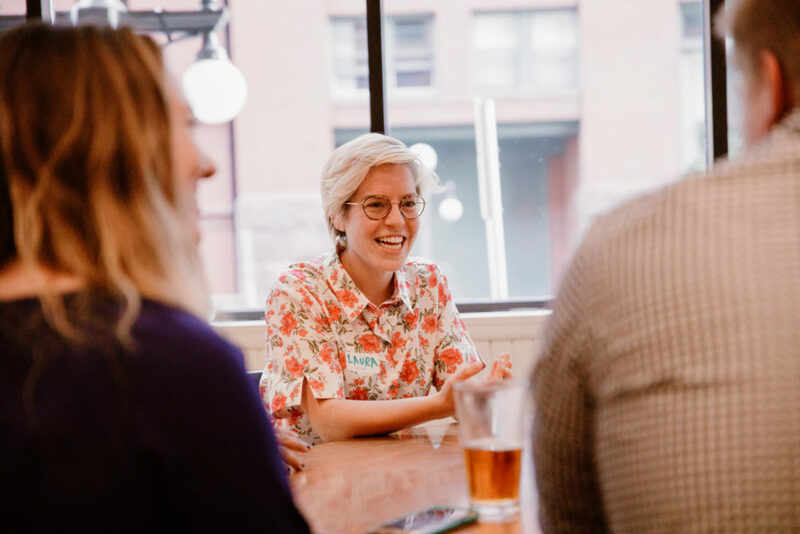 Dawne talks about Peter Drucker, one of her favorite authors as she urges the group to focus on their strengths and find out what makes them happy at work. There are so many conversations and noise happening all around. 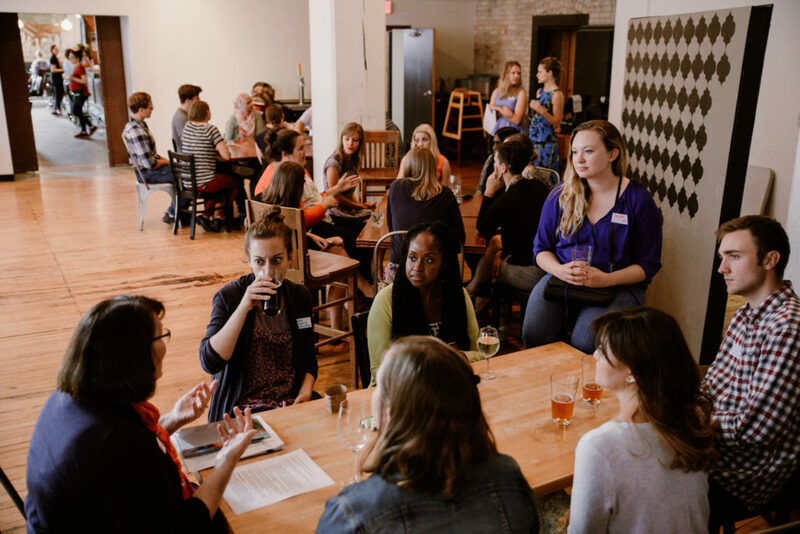 People dive in with questions and share their experience of the roles in which they work. 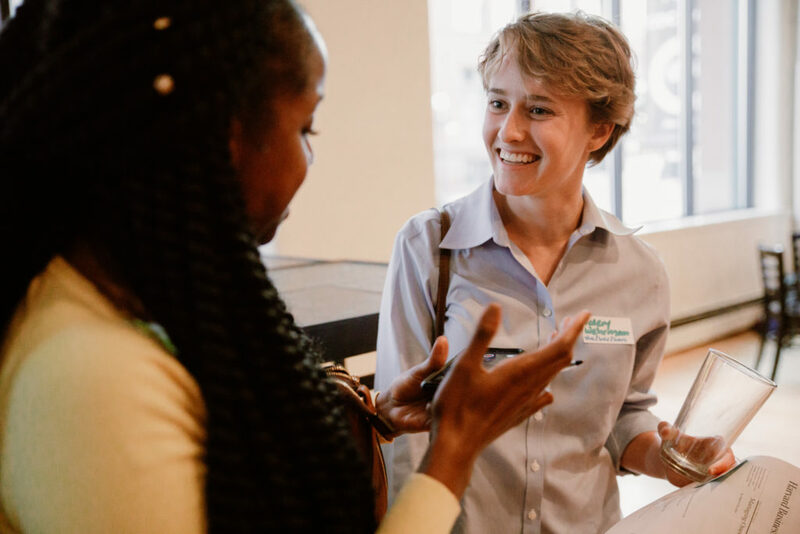 Juliana Wilkins, the director of external relations for COMPAS, engages in a conversation about interviewing the interviewer by asking questions to make sure a potential job is a good fit. 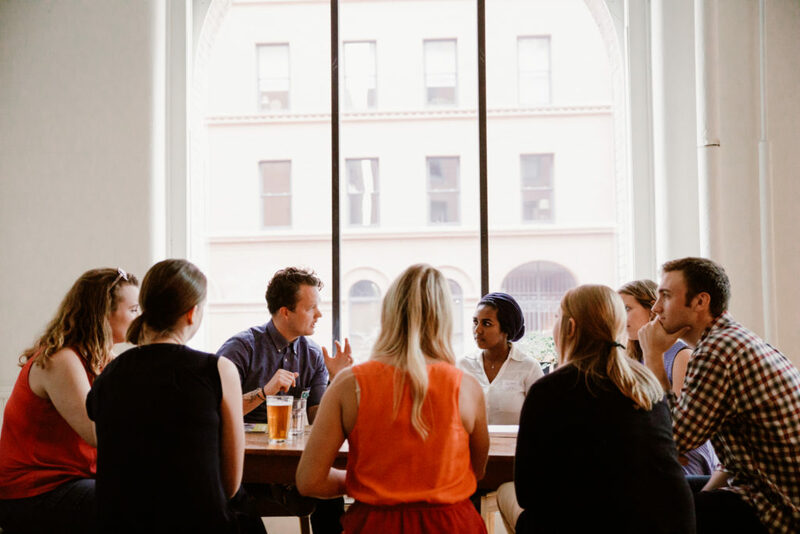 Many people at the table want to know what interview questions they should be asking in the interview. 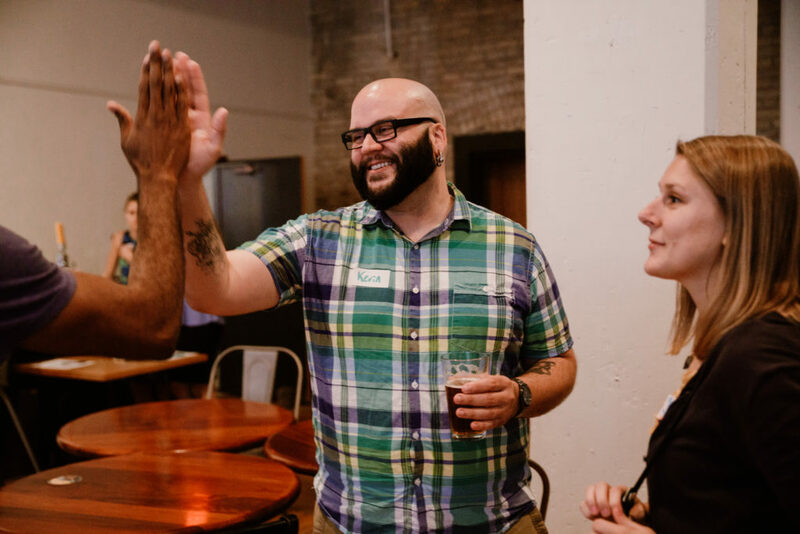 There is hopeful energy all around the room and you can see the hands shoot up as Jake Blumberg, executive director of GiveMN, tackles questions about asking for more work to use the skills you have and show that you can do more. He looks out at the table and tells them to say “Yes!” to get ahead. Melissa chimes in and advocates for making the ask for a salary increase or fundraising with a story. All the attendees have come this evening wanting to know what it takes to move forward. 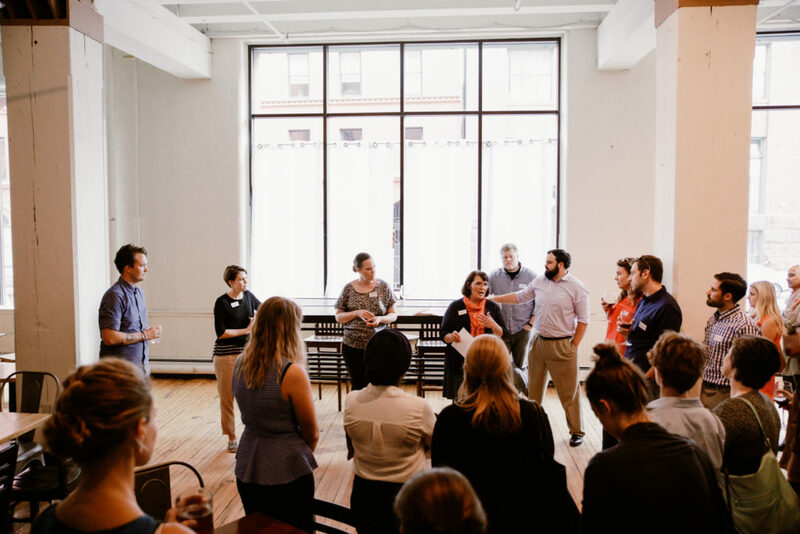 To move beyond entry level, with the hopes of changing the way nonprofits leverage millennial talents and experience. 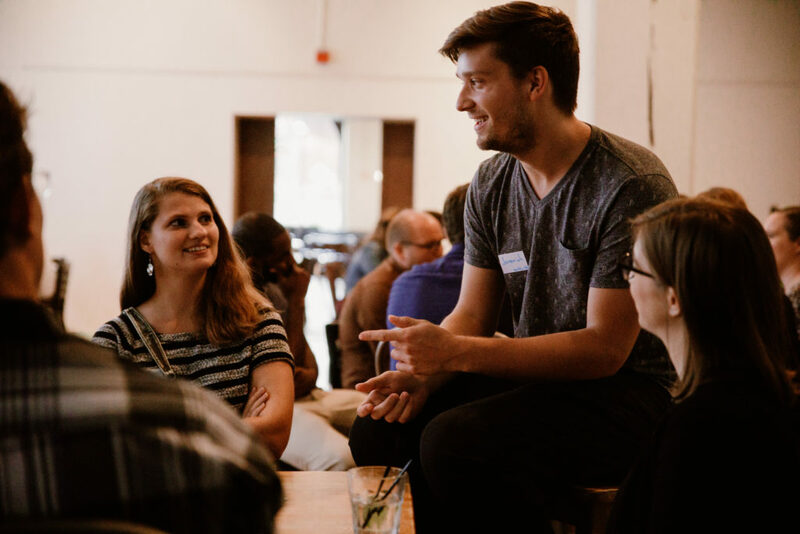 The extremely talented and ambitious young professionals in the room were all looking to make connections between their goals and their current roles. 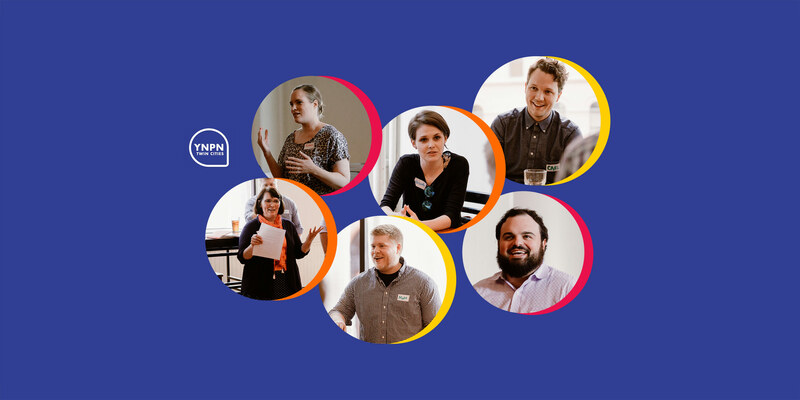 Everyone left feeling inspired about advancing their career and finding happiness in the work they’ve chosen to do. When starting out in a career, scanning the horizon and looking for the next step or opportunity will move help move the goal post along.